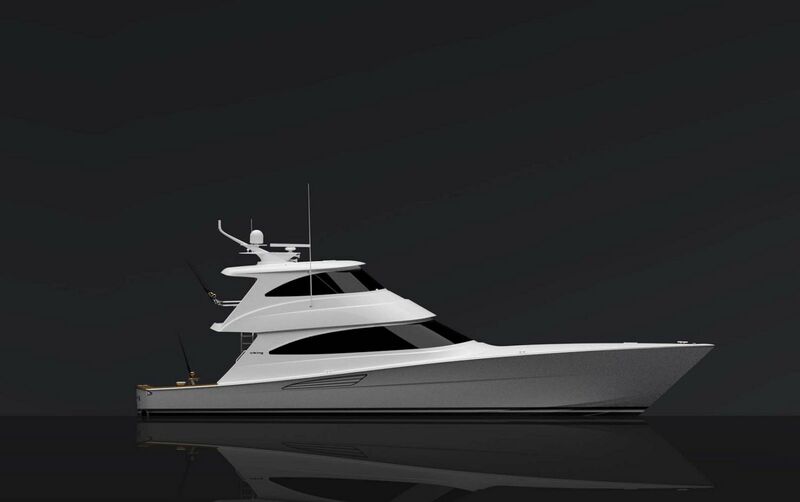 So how do you improve on an already phenomenal boat? 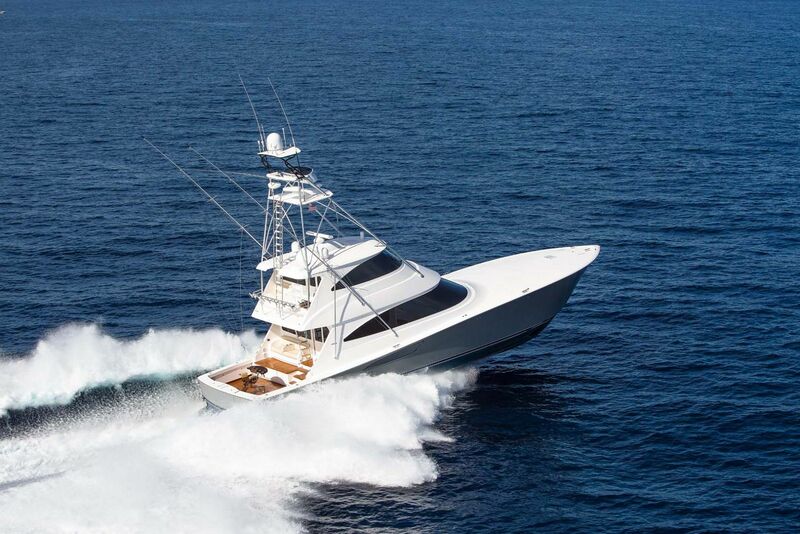 Starting with the hull performance, Viking changed the deadrise at the transom, removed the chines aft to gain additional beam on the boat, and shaped her to be more of a V-configuration, all of which made the 72 more slippery and resulted in a faster yacht. 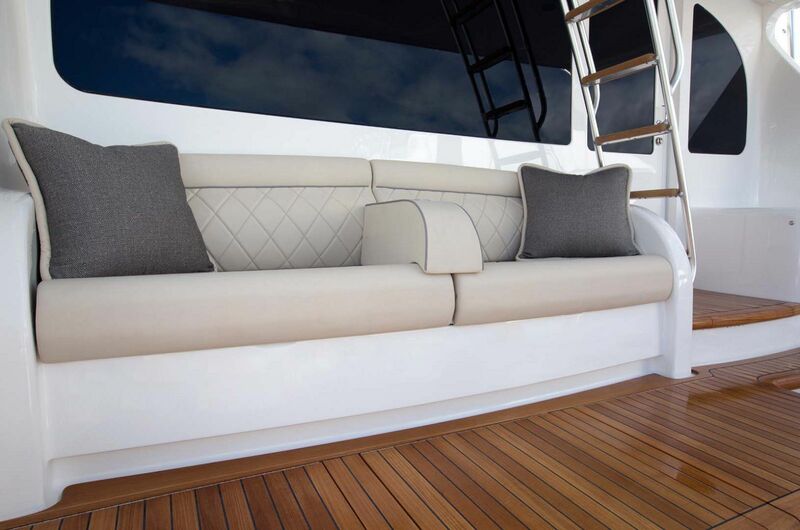 The hull is comprised of a mixture of E-glass and carbon fiber material that gives the hull more strength and durability, but also reduces the weight of the boat. 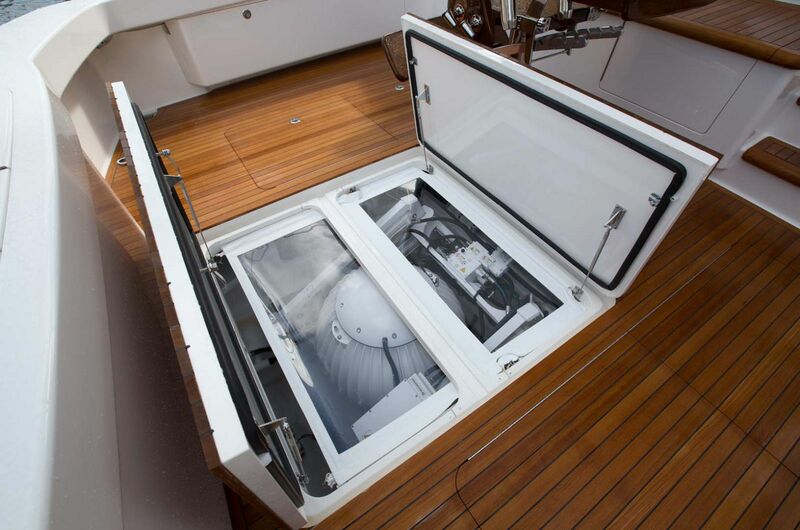 Combine those high-grade materials with Viking’s vacuum-bagged resin-infusion process, and you get more speed and stiffness while continuing to reduce the weight. 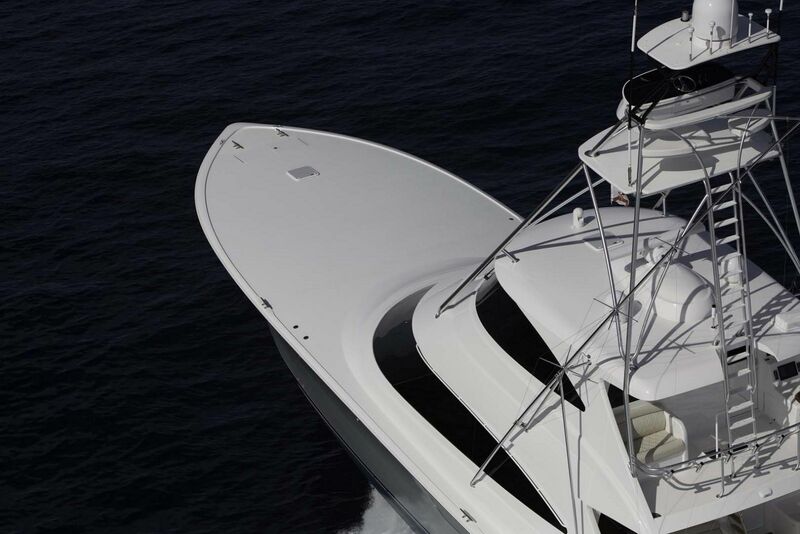 Part of the extra two feet added to this model went right to the cockpit, which is one of the amazing features on the 72 Enclosed Bridge. 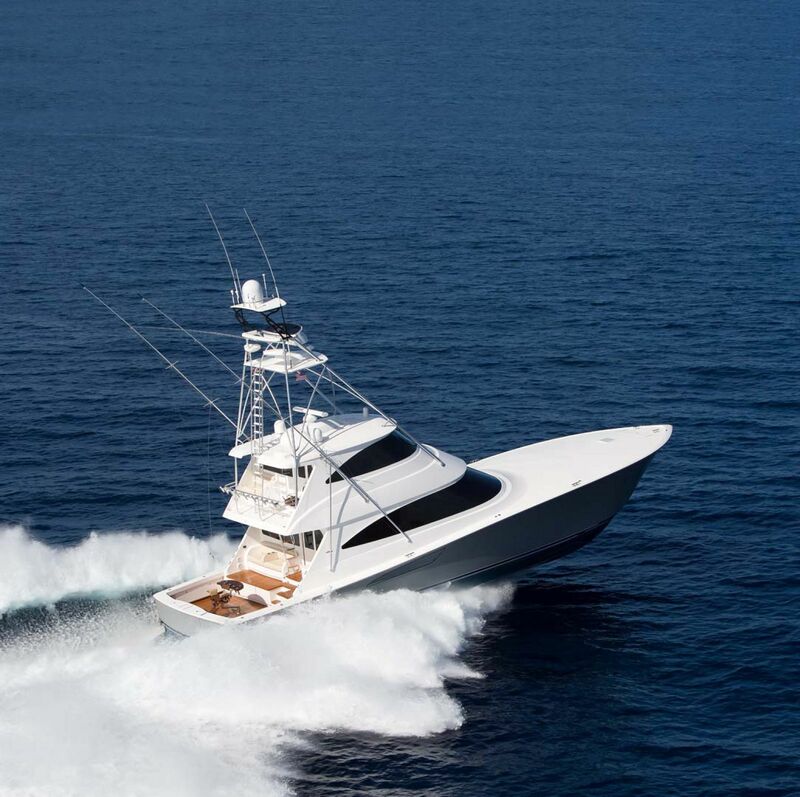 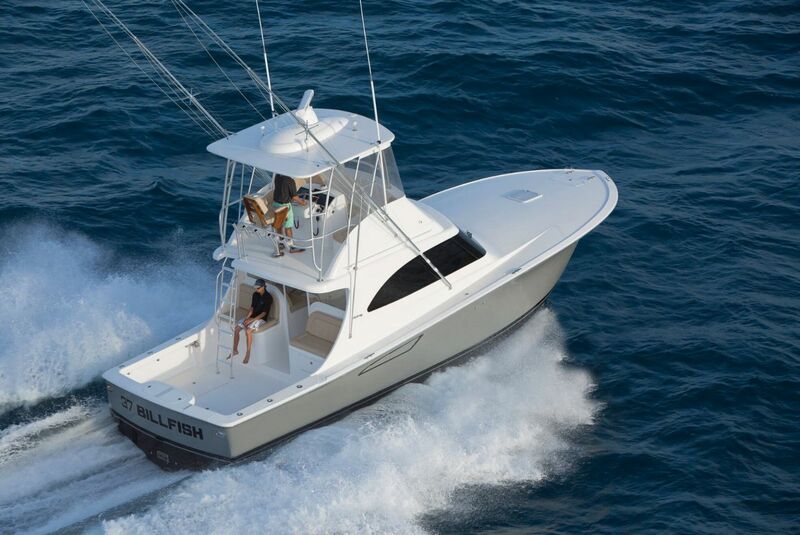 Of course the shaded observation mezzanine is a favorite among sportfish enthusiasts as it allows guests on the boat to watch the fishing action in the comfort of a leather seat, air-conditioned, with plenty of refreshment opportunities within reach. But the ‘fish-ability’ of the cockpit sets a standard in sportfishing. 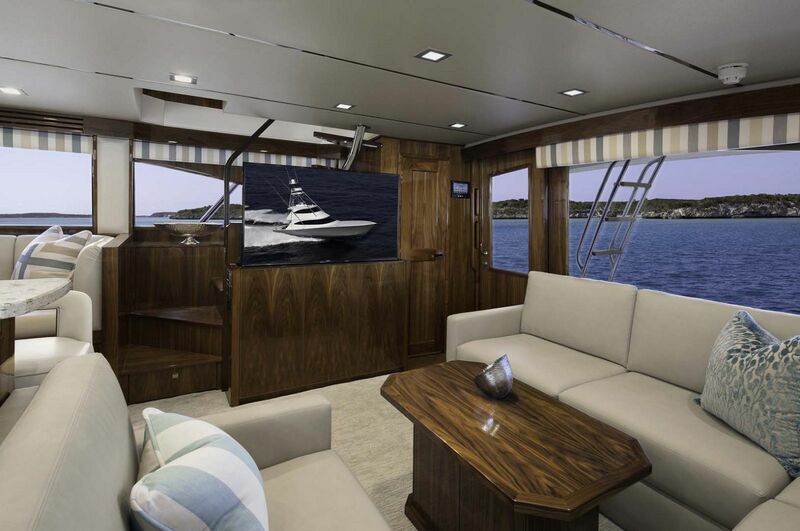 You can see the additional room behind the fighting chair that the extra two feet and beam have provided. 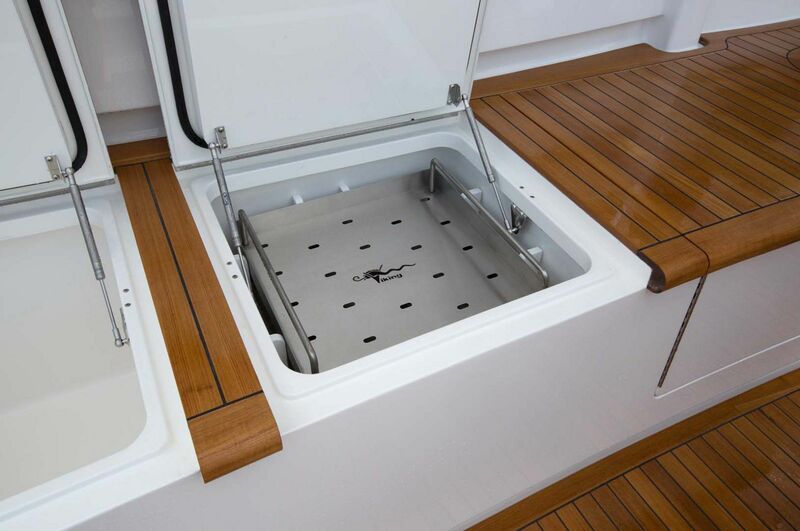 There are two refrigerated boxes, an ice maker, bait boxes, tackle cabinet, livewell, tuna tubes, and ample storage place. 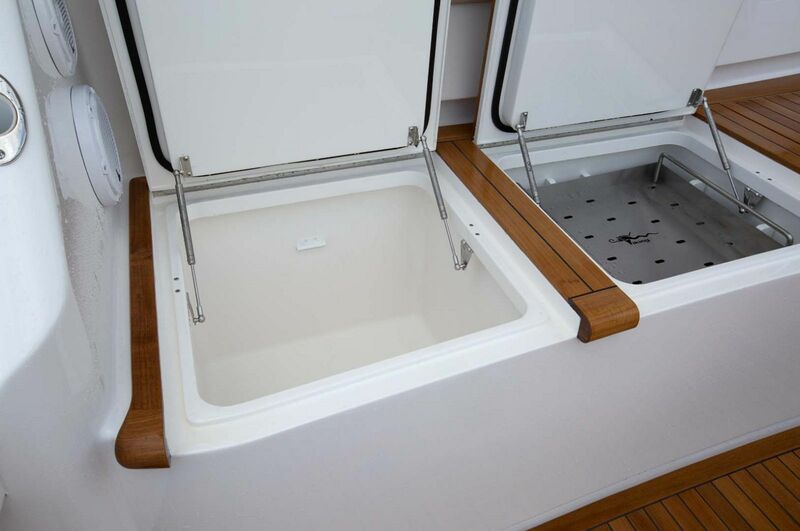 And don’t forget the built-in space for the Seakeeper Gyro Stabilizer that has been built into the deck just forward of the lazarette. 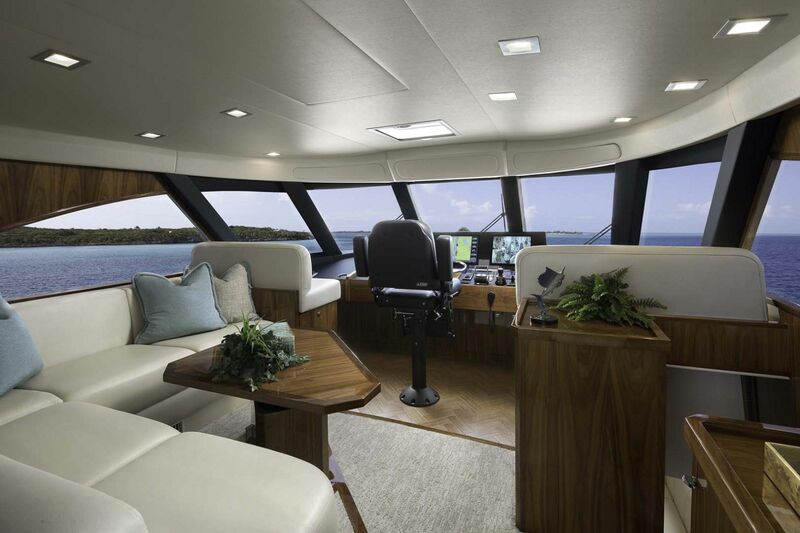 The interior of the Viking 72 Enclosed Bridge does not disappoint even the most distinguished of owners. 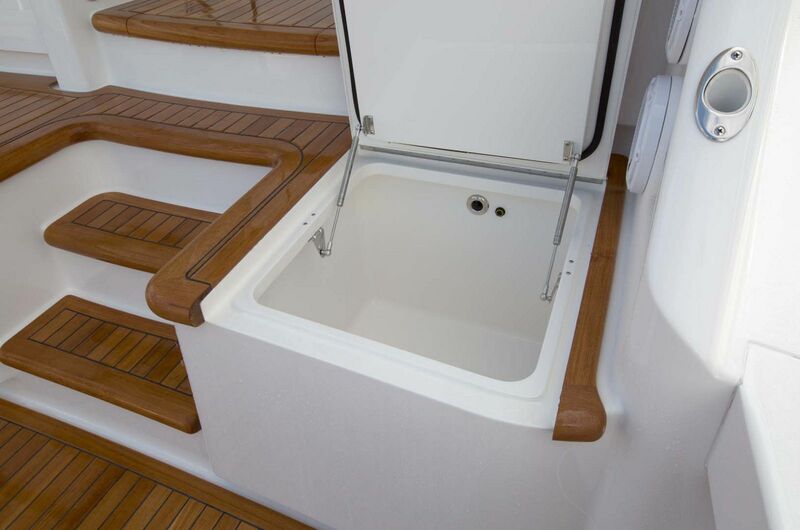 Enjoy the addition of the circular staircase which leads to the enclosed bridge helm. 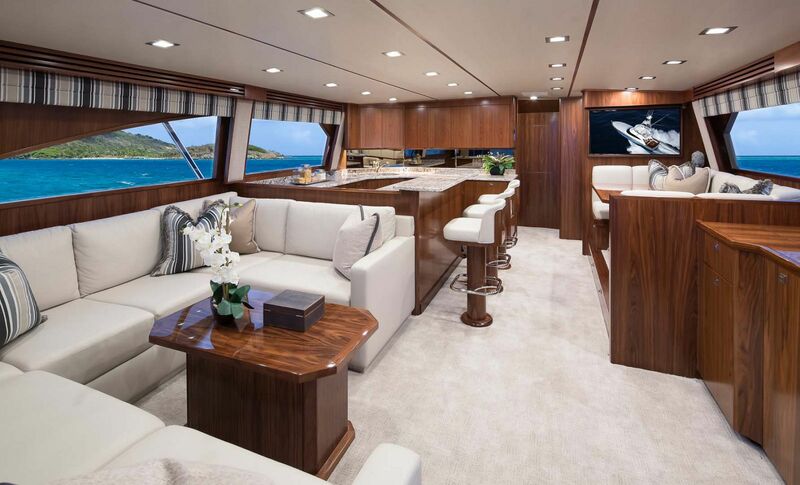 The 72’s enclosed bridge is essentially a second salon on the boat, featuring a L-shaped sofa, table, another refrigerator, and an entertainment center in the event guests on board want to congregate upstairs. 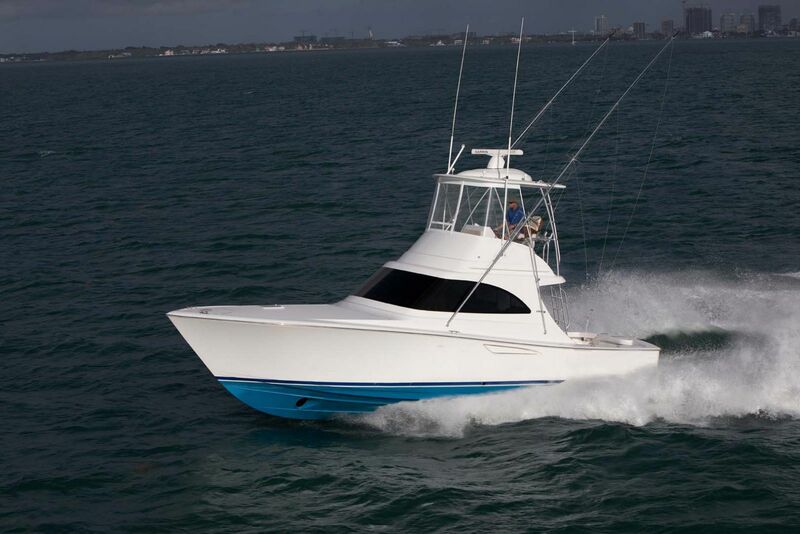 New owners of the 72EB can choose from multiple power options. 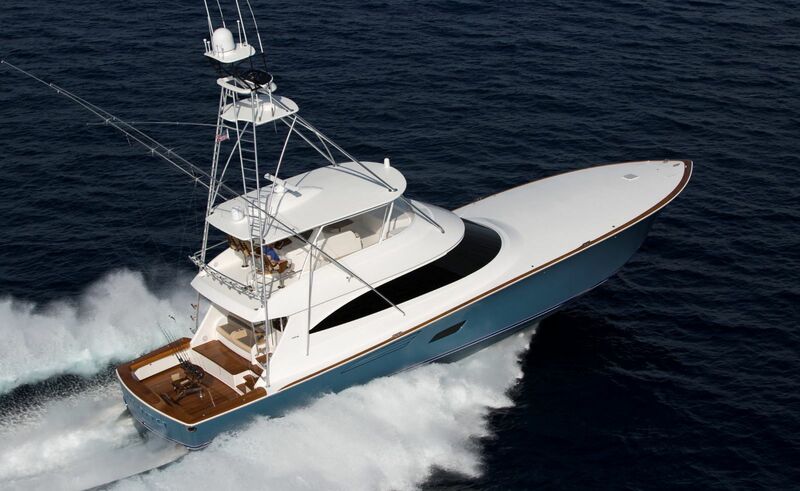 The standard base model engine is twin MAN V12 1550hp diesels, but owners can choose to upgrade to CAT C-32A 1925hp engines, MTU Series 2000 V12 M96L 1945hp engines, or the MTU V16 M96L 2635hp engines. 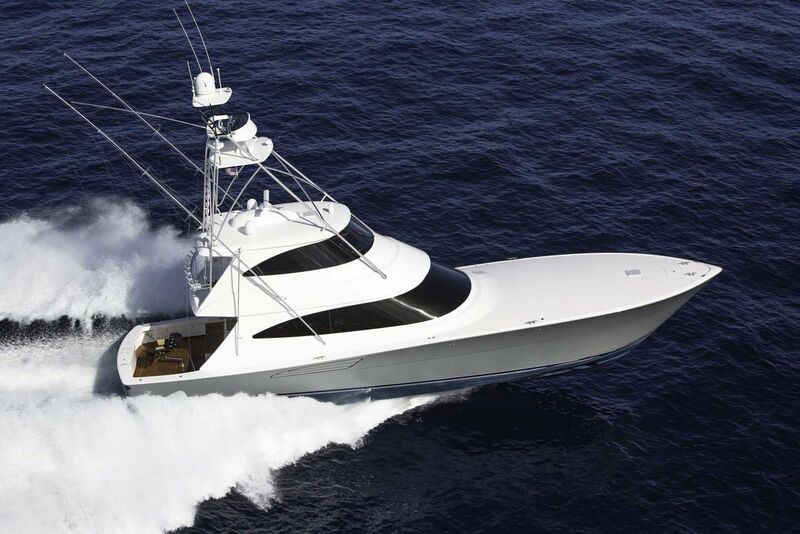 The largest engine package produced an average cruising speed of over 37 knots and hits 40 knots at top end with just an 80 percent engine load. 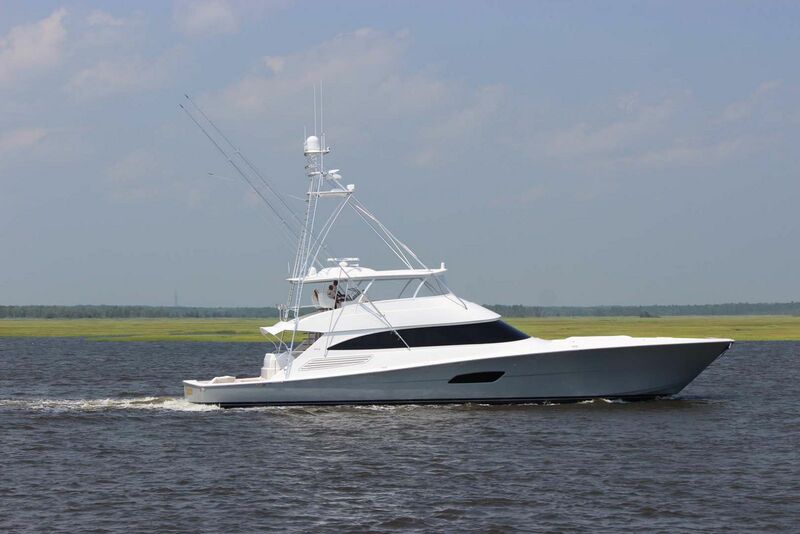 If you’re interested in learning more about the Viking Yachts 72 Enclosed Bridge, contact your Staten Island Yacht Sales professional today. 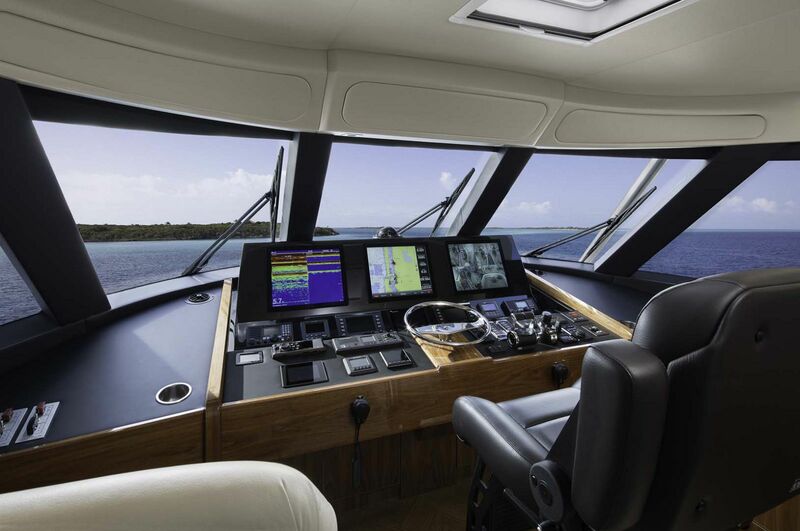 Marlin Magazine looks at the next best thing - the Viking 80 Convertible. 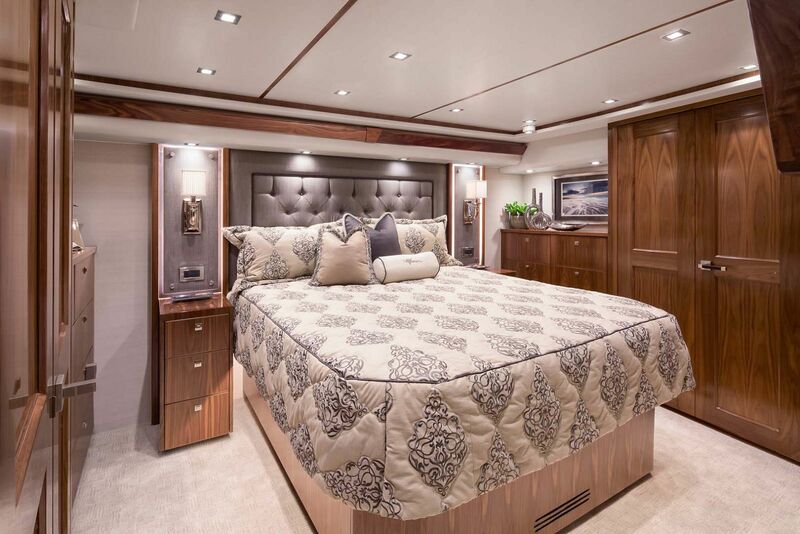 Viking Yachts released this official trailer video of the 72 Enclosed Bridge.